Screwy Decimal: It Must Be Storytime! Isn't that the truth. 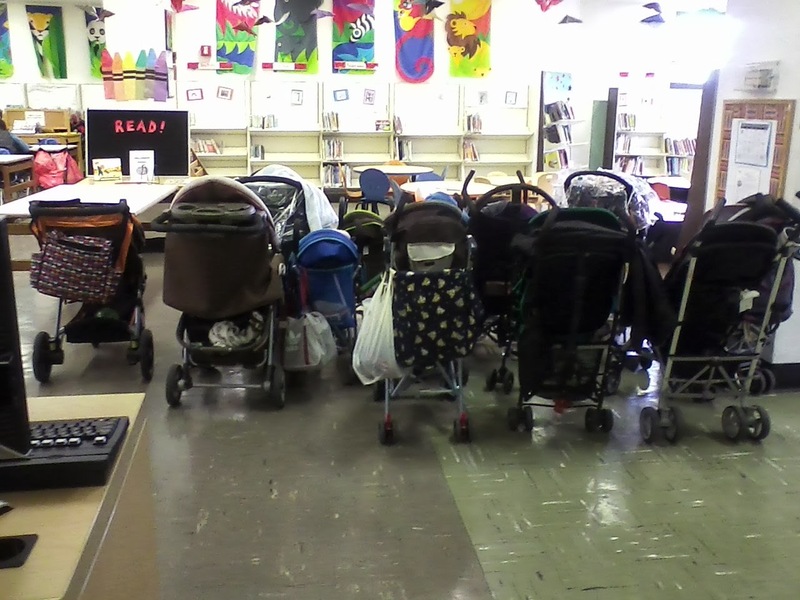 We had to establish stroller paring at one of our libraries! Ugh strollers are a problem! Some parents stubbornly insist on taking them into the program room, although there is no space at all for them. The parents of multiples are the worst offenders and while I sympathize...we do not have room for multiple double-strollers! I try to get parents to park the strollers out in the children's area, but there's not much space there either. What an adorable photo! I am thrilled to see parents of young children still getting into the library!!!! Hooray for those moms and dads.